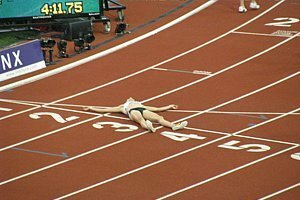 "American Morgan Uceny is currently the best women's 1,500-meter runner on the planet. Let us repeat that again: American Morgan Uceny is currently the best women's 1,500-meter runner on the planet." 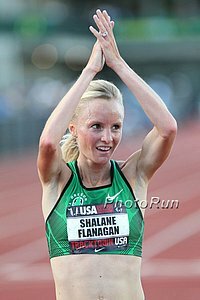 - From our Birmingham recap, talking about Morgan Uceny's 2nd straight Diamond League 1,500m victory in 4:05.64. 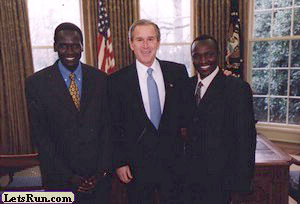 It's been a long, long time since that could be said about an American. Ban On Former Drug Cheats At Major European Meets Lifted After Court Case This follows a court ruling in Switzerland forcing the Lausanne Diamond League meet to let in French 1,500 runner Hind Dehiba. 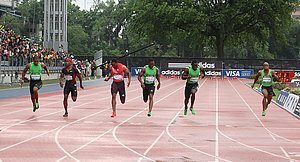 This opens the door to others such as Justin Gatlin and Dwain Chambers, who up until now have only been allowed to compete at low-key meets. At least now there will be consistency as before some athletes such as Steve Mullings would be allowed in while guys like Chambers get made an example of. 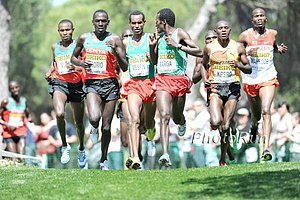 World Youth: IAAF Recap Last Day: Kenya's William Malel Sitonik Wins 3k In 7:40.10 He led from gun to tape and shattered Isiah Koech's previous Championship record of 7:51.51. *US Medley Relay (100m, 200m, 300m, 400m) Wins Gold Set World Youth Record of 1:49.47. 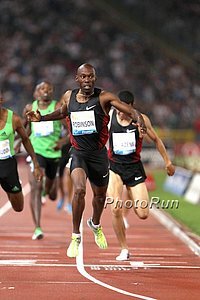 *IAAF Article On Kenya's Leonard Kirwa Konsecha, Who Set World Youth Best With 1:44.08 Will he break the "jinx" that no World Youth 800m champ has ever gone on to win a global medal in the senior division? *UK's 200m Champ Desiree Henry Credits Coaching Of Mike McFarlane He also coached previous 200 champ and current UK rising star Jodie Williams. Madrid Results: Tyler Mulder Defeats Yuriy Borzakovskiy 1:45.10 win over Yuriy, who ran 1:43.99 last week. Jenny Simpson ran 4:07 in the 1,500 for fourth, as US World Championships team members Alice Schmidt (2:00.60 - 2nd) and Maggie Vessey (2:06.94 - 8th) competed in the 800. *Justin Gatlin Wins Madrid 100m Over Fellow Drug Cheat Dwain Chambers Asked about the issues with former drug cheats being let into top European meets he said, "Right now if they put me on the moon I am going to race on the moon." *Jacko Gill Wins With Record-Breaking Throw "I had a break from school and I've just been training six or seven hours a day, that's all I do. Plenty of fast bench presses and getting really fast, instead of that big typical strong shot putter build." *Lawrence Okoye Smashes UK Discus Record And World Age-19 Best Knocks off controversial Perris Wilkins, who has been accused of competing with underweight implements and banned for doping. 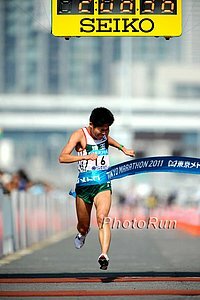 Centro's Time Puts Him 5th All Time On US Under 23 Years Old List Behind Alan Webb and Jim Ryun, among others. France's Mahiedine Mekhissi-Benabbad Wins Paris Steeplechase In 8:02.09 Just missed European record of 8:01.18. 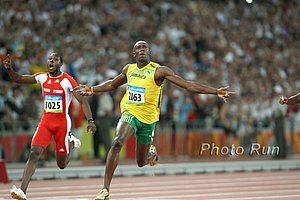 Usain Bolt: "I'm Not A Legend Yet"
Asafa Powell Wins 100 In 9.91 Over Fellow Jamaicans Nesta Carter & Michael Frater Afterwards he calls Bolt out, saying, "At the worlds, I'm definitely going to win." IAAF Recap Non-Distance Results Australia's Olympic silver medallist Sally Pearson sets world lead in 100m hurdles with 12.48 seconds. Andreas Thorkildsen set world lead in the jav with 88.30m. UK's Phillips Idowu Beats A Very Inconsistent Teddy Tamgho In TJ Idowu won with 17.54m. Tamgho jumped a disappointing 16.74m for 5th after fouling 3 jumps, despite the fact that last month he beat Idowu in Lausanne with 17.91m and he is the indoor WR holder. *Teddy Tamgho Might Have Lost The TJ, But He Won Some Fans As He Was Very Popular With The Crowd He stays upbeat, saying, "I'm not worried about today. I'm close to doing something amazing. I just have to wait. It was good for Phillips to win today in his home, but I am in good shape." UK's Dai Green Wins Birmingham 400 Hurdles In 48.20 Over Bershawn "Batman" Jackson He set the world lead and broke a stadium record which dates back to 1986 from the US's 2-time Olympic champ Edwin Moses. LRC Preview: Morgan Uceny Looks To Continue Her Hot Streak At 1,500 As Galen Rupp Looks To Break 13:00 The sprints are highlighted by the appearance of the world's (self-proclaimed) best 100m man - Asafa Powell. 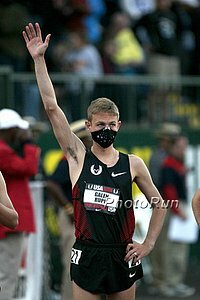 US champion Morgan Uceny may be the favorite in the 1,500m, but the distance race of the night might be the men's 5,000m, where training partners Galen Rupp and Mo Farah will take on Ethiopia's best not named Bekele. Plus Kaki in the 800 and a more wide-open steeple. We break down the action. 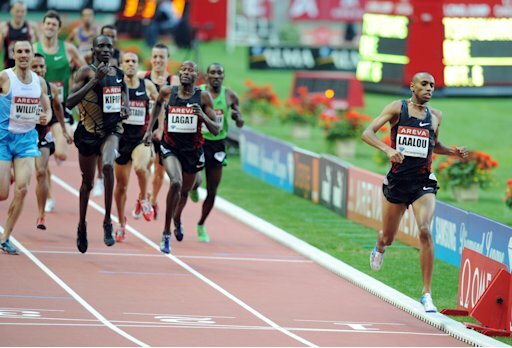 Alberto Salazar Says Mo Farah Is Only Doing 2/3 The Work Galen Rupp Is And Still Has A Lot Of Room To Improve "His greatest strength is his confidence in his training programme, training partners and his coach ... I have never seen someone come into a programme so quickly and adapt to it. I could tell him don't warm up for a race tomorrow and he would do it. He just totally believes and that shows in his race performances." Asafa Powell Says He Doesn't See Himself As "The Third Man," But As "The Top Sprinter In The World"